You will have the opportunity to sample a total of three hundred and fifty fine wines from thirty-two Cretan wineries, as well as the new Santorini guest wineries. Live music and other entertainment will also be part of the festival. 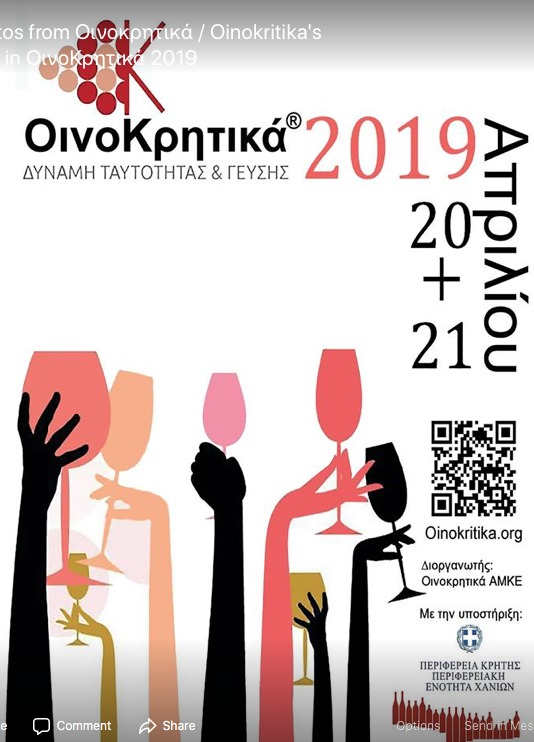 The Oinokritika Wine Festival 2019 will highlight the top wine networks of Crete as well as smaller wine distributors. In addition, Santorini winemakers will be participating in the event for the first time with their amazing “Assyrtiko” wines.